Tiles by clé create a zingy backdrop for ingredients for a Brazilian Bounty that include a plethora of peppers in red orange and yellow. 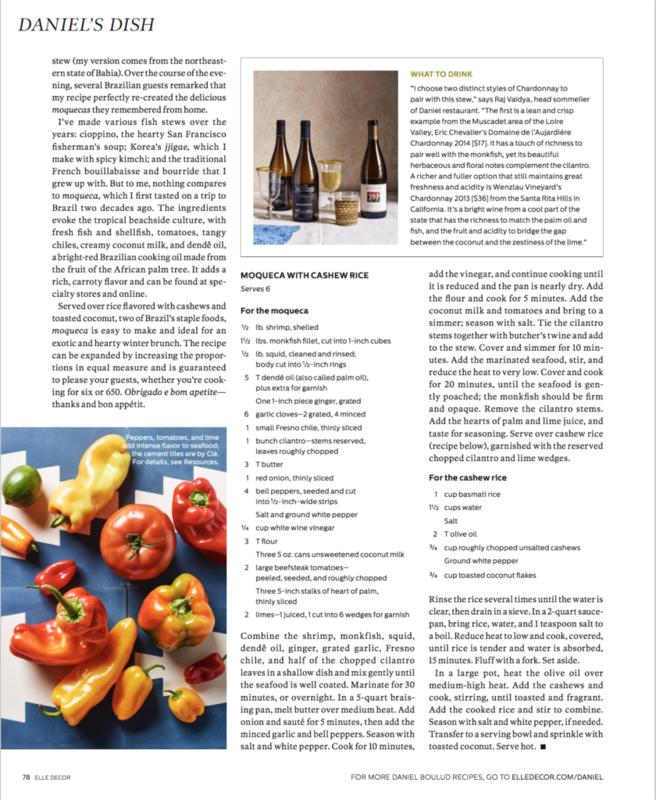 It’s a Daniel’s Dish featuring Moqueca with Cashew Rice that’s dishing on a south-of-the-border vibe. The festive peppers have the perfect backdrop in clé cement tiles. 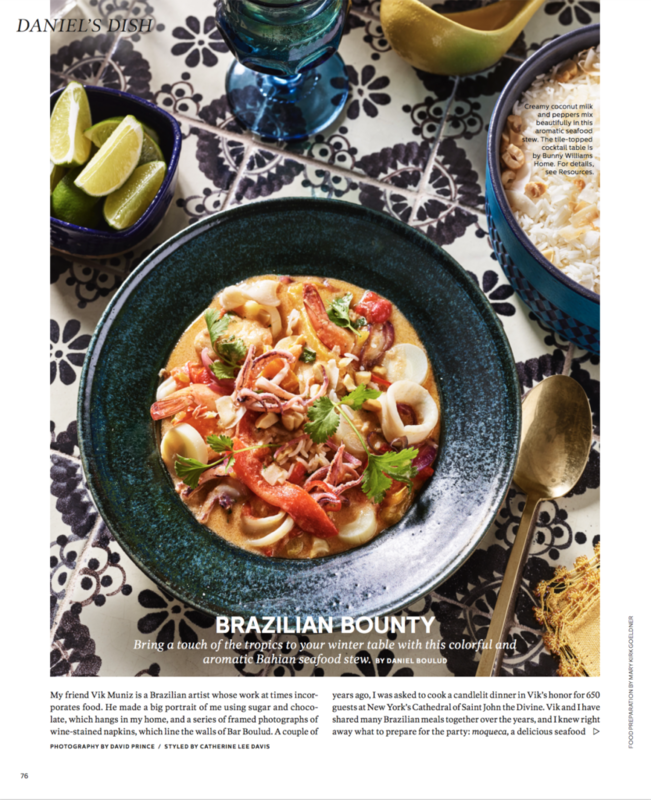 Given the Chef feels the ingredients evoke the tropical beachside culture he found in Brazil, it’s no wonder this tile pattern was perfect to enliven the magazine spread. Cement tiles have been a trend for decades, so it’s no wonder editors are dishing on the earthy style of the tiles to illustrate their editorial ideas.